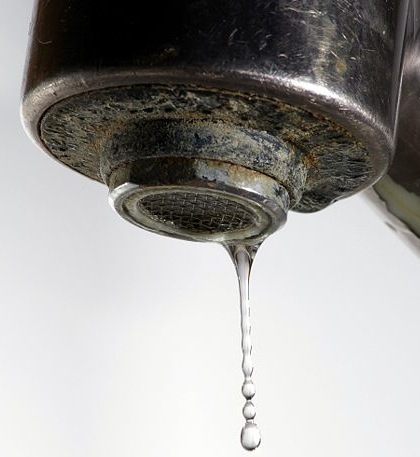 Water "hardness" refers to the level of minerals found in a home’s water supply. Hard water results when an excessive amount of minerals, chiefly calcium and magnesium, are dissolved into water as it passes through soil and rock. The degree of hardness becomes greater as the mineral content increases. Hard water presents numerous mechanical and aesthetic problems in homes, but it is not considered a health hazard to humans. limescale in solar heating systems. Solar heating, often used to heat swimming pools, is prone to limescale buildup, which can reduce the efficiency of the electronic pump. Note that since water's acidity and temperature partly determines the behavior of hard water, a single-number scale does not adequately describe the realistic effects of hard water on household components. The World Health Organization reports, " There does not appear to be any convincing evidence that water hardness causes adverse health effects in humans. In contrast, the results of a number of epidemiological studies have suggested that water hardness may protect against disease." The report further states that hard water often contributes a small amount toward total calcium and magnesium human dietary needs. Geographic Distribution of Hard Water in the U.S. According to the U.S. Geological Survey, softest waters are in the Pacific Northwest, parts of New England, the South Atlantic-Gulf states, and Hawaii. Moderately hard waters are common in many rivers of Alaska and Tennessee, in the Great Lakes region, and the Pacific Northwest. Hardest waters (greater than 1,000 mg/L) are measured in streams in Texas, New Mexico, Kansas, Arizona and Southern California. Water softeners remove unwanted minerals through an ion-exchange process. Incoming hard water passes through a tank of ion- exchange beads that are super-saturated with sodium. The calcium and magnesium ions in the water attach to the resin beads, replacing the sodium, which is then released into the water. The softened water is subsequently distributed for use throughout the house, but it may be unsuitable for drinking due to its high sodium content. In water conditioners, by contrast, calcium ions remain suspended in the water as small particles, but their tendency to form limescale is diminished. This system allows the benefit that the calcium, which is a good dietary mineral, remains in the water. Water conditioners are more controversial and they do not work in every situation. In summary, the common problem of hard water is easy to spot and mitigate.